The 'rain in Spain falls mainly on the plain' of Castilla-La Mancha land of Don Quixote and his windmills. It's also home to some of Spains's Prettiest Towns. The association now has 44 towns and is growing. Born from the mutual desire to promote beautiful, mostly rural towns with a population of less than 15,000 and with architectural and natural heritage of which there are so many throughout Spain. The ‘rain in Spain falls mainly on the plain’ of Castilla-La Mancha land of Don Quixote and his windmills. It’s also home to some of Spains’s Prettiest Towns or Los Pueblos Más Bonitas de España. The association now has 44 towns and is growing. 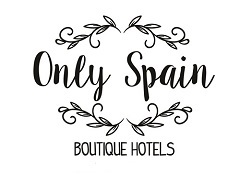 Born from the mutual desire to promote beautiful, mostly rural towns with a population of less than 15,000 and with architectural and natural heritage of which there are so many throughout Spain. I rather like the name of this last town, Green Valley of the Streams, which rather poetically brings to mind a picture postcard spot. Castilla-La Mancha the region around Madrid to the east, south and south-west has many lovely and protected areas and is also home to three of Spain’s Prettiest Towns. As well as famous gastronomy, Toledo, a province and provincial capital has been named Gastronomic City 2106, there is a Don Quixote route. This route which consists of more than 2,500 km and covers 148 towns a lot of them within Castilla-La Mancha. All photos are copyright Los Pueblos Más Bonitas de España an interesting website and with accommodation near most towns.